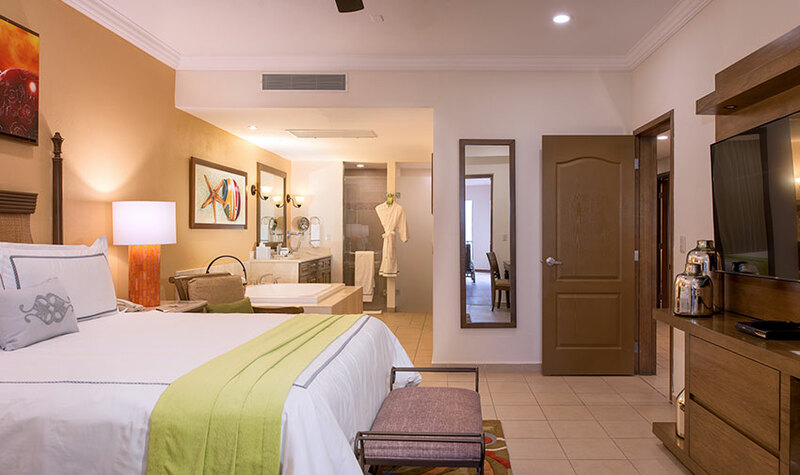 With 2,625-square feet of space and the added amenities and perks of our Premium Floor suites, these colossal Three Bedroom Suites Premium Floor at Villa del Palmar Beach Resort & Spa are the idyllic accommodations for travelers seeking the scintillating combination of vacation splendor and home away from home comforts when they visit Loreto, Mexico. 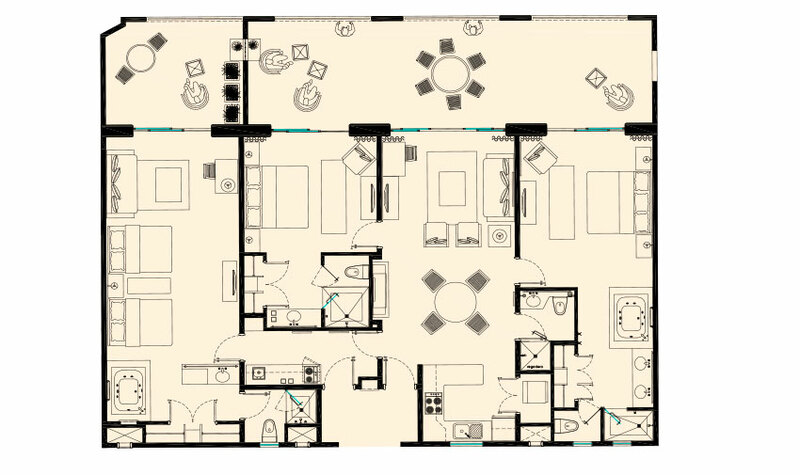 The expansive floor plan includes three spectacular bedrooms, which vary based on guest preference and availability. Some provide two spacious master bedrooms with a king-sized bed, and a third bedroom complete with two queen-size beds. 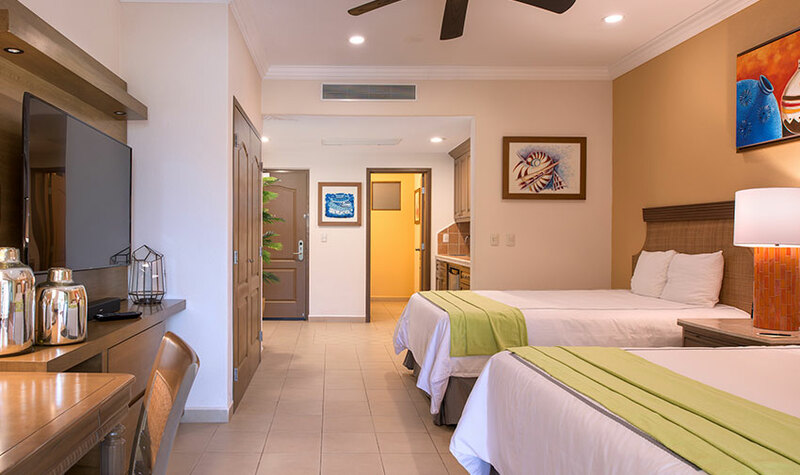 Other units have just one master bedroom with a king bed, while the two additional bedrooms have two queen beds each. 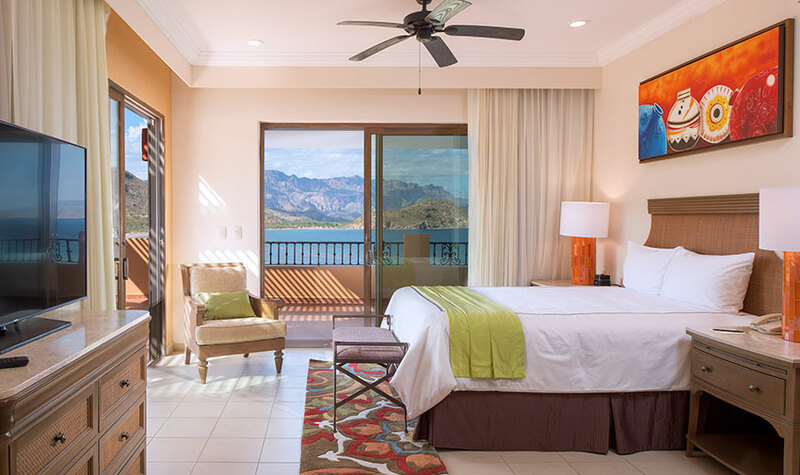 Each bedroom in our Three Bedroom Suites Premium Floor at Villa del Palmar at the Islands of Loreto has its own private bath, in addition to a fourth bathroom in the common area. 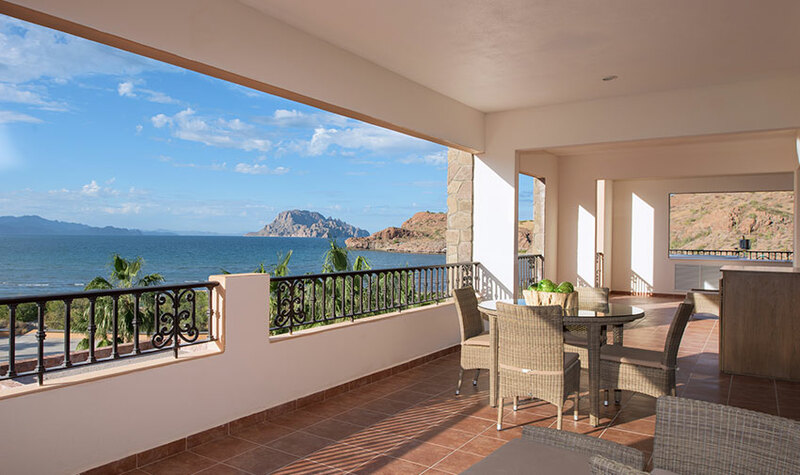 Rounding out these luxury suites in Loreto are spacious kitchens, comfortable living and dining rooms, and oversized terraces that look out onto the incredible views of Danzante Island and the Loreto Bay National Marine Park. My first visit to villa del Palmar wias in 10/17 with the Latina Golfers Association to play golf at the Danzante Golf Course. 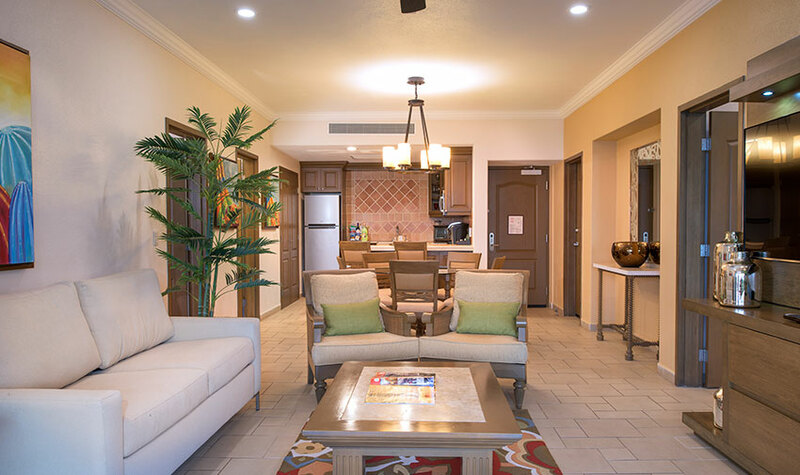 I feel in love with Villa del Palmar Resot that I purchased the time share.